The prototype first flew in December 1982. The production model was certified by the FAA in October 1984. Since then, the Caravan has undergone a number of design evolutions. Working with FedEx, Cessna produced first the Cargomaster and followed that with the stretched and upgraded Super Cargomaster. 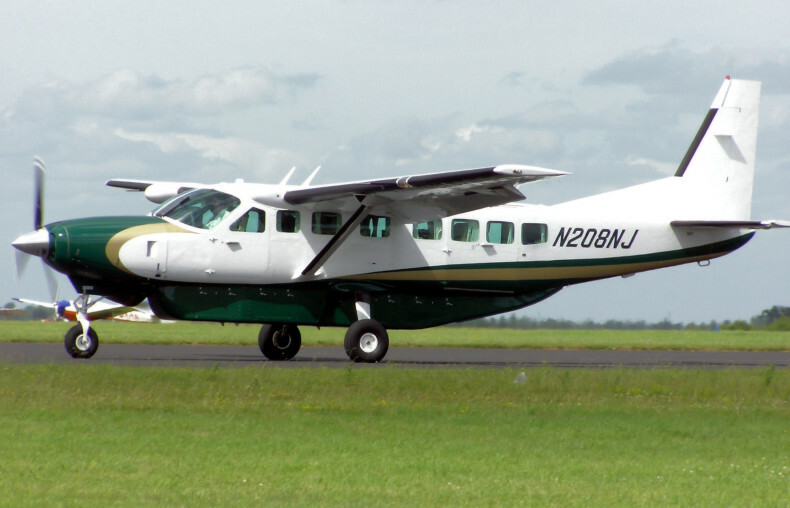 The passenger model, the Grand Caravan, was derived from the Super Cargomaster. In January 2013 a higher-powered (867 shp from P&WC PT6A-140) version, the Grand Caravan EX, received FAA certification.This higher-powered version will be produced by a Cessna-AVIC joint venture in China. Cessna offers the 208B in many configurations. The basic 208 airframe can be outfitted with various types of landing gear, allowing it to operate in a wide variety of environments. Some common adaptations include skis, enlarged tires for unprepared runways and floats on the Caravan Amphibian model.